Their services and products are revolutionizing cybersecurity and proactively prevent, instead of reactively detecting when advanced persistent threats and malware are executed. Their technology (which has been deployed on over four million endpoints) protects hundreds of large enterprise-level clients around the world that include government institutions as well as Fortune 100 companies. Cylance has created the emerging standard for security, and is one of the fastest-growing cybersecurity technology firms in the U.S. Their flagship product, CylancePROTECT®, has been adopted by firms across the globe, including numerous Fortune 500 companies and government agencies. 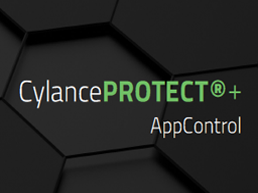 CylancePROTECT®+AppControl is the industry’s first application control product to use a predictive mathematical model to only permit good applications to be whitelisted during installation or update. But unlike simple whitelisting solutions, CylancePROTECT+AppControl enables administrators to achieve a high degree of security WITHOUT the hassle of continuous management overhead, productivity impact on users and the mistakes that can be made when pressed to quickly make decisions about the safety of applications. Traditional antivirus products use a blacklisting approach that allows all applications to run unless they are known to be malicious or exhibit known bad behaviors. Application control reverses this paradigm, only allowing execution of code that is on a whitelist of known good applications. Application control is widely acknowledged as a highly effective way to protect low-change environments. Because of its predictive model, CylancePROTECT is the best solution for dynamic environments where users are frequently installing/updating applications. But, what about a solution for fixedfunction devices with a low change factor such as data center servers, point of sale systems, industrial control systems, ATM’s and kiosks? For those environments, the best solution is CylancePROTECT+AppControl. Integrating software can be challenging for any organization. Common challenges include partial installation, lack of training, internal resource constraints, proper initial configuration and an inability to maintain security optimization. ThreatZERO Services can help enterprises overcome these challenges. Cylance’s expert Consulting team has one goal in mind: Secure our clients as quickly as possible and maintain a higher level of security via prevention using AI technology. Our team is comprised of industry-leading experts in the most advanced technologies. No one in the industry can bring more depth of services and expertise than Cylance PERIOD. Richard Stiennon interviews Stuart McClure, CEO of Cylance, as part of IT-Harvest's 2016 Video Interview Series. In this technical demonstration, we pit CylancePROTECT® against Office documents containing malicious Macros. CylancePROTECT offers protection against advanced threats and zero-day malware using artificial intelligence and machine learning. In this technical demonstration, we pit CylancePROTECT® against the recently identified PlugX. 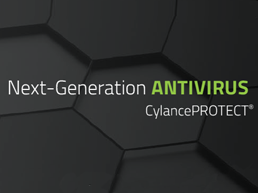 CylancePROTECT offers protection against advanced threats and zero-day malware using artificial intelligence and machine learning. In this technical demonstration, we pit CylancePROTECT ® against the recently identified AGL Ransomware. CylancePROTECT offers protection against advanced threats and zero-day malware using artificial intelligence and machine learning. Our specialists are expert in designing network security systems and can help you create a plan for sourcing and deploying your Cylance solution. 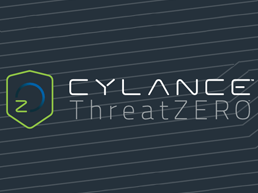 Optrics offers personalized Cylance training - a service designed to help you integrate your Cylance solution smoothly into your network infrastructure.